Who's ready to be tucked in? Extra cozy. Extra comfy. And extra-huggable, our coveralls are a classic for a reason. Made from GOTS certified organic cotton with dreamy princess frog prints, they're a dream come true. 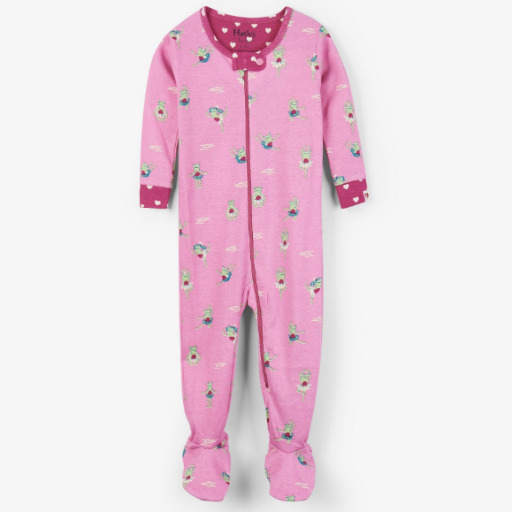 Features: Eco-friendly 100% organic cotton Made to be snug fitting Full-length zipper closure with inside zipper guard Snap tab at neckline Non-skid soles Sizes 12-18M and 18-24M are footless: openings finished with rib cuffs Machine washable GOTS certified 100% organic cotton.